The Sundance Motel offers downtown Pinedale, Wyoming lodging that is conveniently located near shopping, the Pinedale schools, the Sublette County Courthouse, and restaurants. There are many reasons to choose the Sundance Motel for your Pinedale lodging that we describe below. The Sundance is only 2 blocks from the Pinedale schools which is where the sporting events occur. The Sundance’s location near downtown means you can easily walk to the shops along Pine Street – Pinedale’s main street. Shops mingle with cafes and restaurants on Pinedale’s streets. Pinedale, Wyoming is the Sublette County seat so the Sublette County records, licenses, and other business is done here. The Sundance offers lodging only 2 blocks from the Sublette County Courthouse. Rendezvous is celebrated each summer normally in July. The parade route is down Pine Street right past the Sundance. Our guests can watch the parade from our lobby or outside on the sidewalk. This is Pinedale lodging with additional benefits. If you’re looking for Pinedale lodging with fast, easy access to the Wind River Mountain recreational activities like hiking and skiing, the Sundance is the place for you. We’re near the intersection of Highway 191 and Fremont Lake Road. Follow Fremont Lake Road up to Elkhart park for some awesome Wind River Mountain hiking and views during the summer or stop at White Pine Ski Area for a day of winter fun. Follow Pinedale Wyoming Outdoor Activities to see some other outdoor activities. Stop in today to visit us and take advantage of affordable Pinedale lodging in the heart of Pinedale, Wyoming. 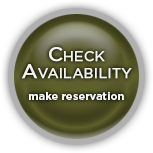 See the various types of rooms available at the best hotel in Pinedale Wyoming.